Regardless if your desire is to maintain clean surroundings, adhere to random preventive maintenance, or you want to avoid nasty bacteria attacks - Professional Tile and Grout Cleaning in Cherry Hill is essential for your home. Tile and grout cleaning is highly neglected by many people. In most cases this is understandable because it can be considered "detail" cleaning. It takes some tedious effort to properly accomplish the task. A professional tile and grout cleaning is always recommended as the best approach. Our tile and grout cleaning service will eliminate the eyesore of worn and discolored tiles. As time moves along, you won't really notice the decline of your tiles luster and shine. If you happen to have a tile left over from installation, pull it out of the basement closet and hold next to your tub or shower to see what has happened over time. Normal and everyday use takes its toll on your tiles over weeks, days and years. Dirt, mildew, mold and bacteria can build up rather quickly. Much of this might not even be visible to the naked eye. Not only is this unsightly, if it can be seen, it is also a health hazard for your family. A professional tile and grout cleaning will ease your mind on those concerns. 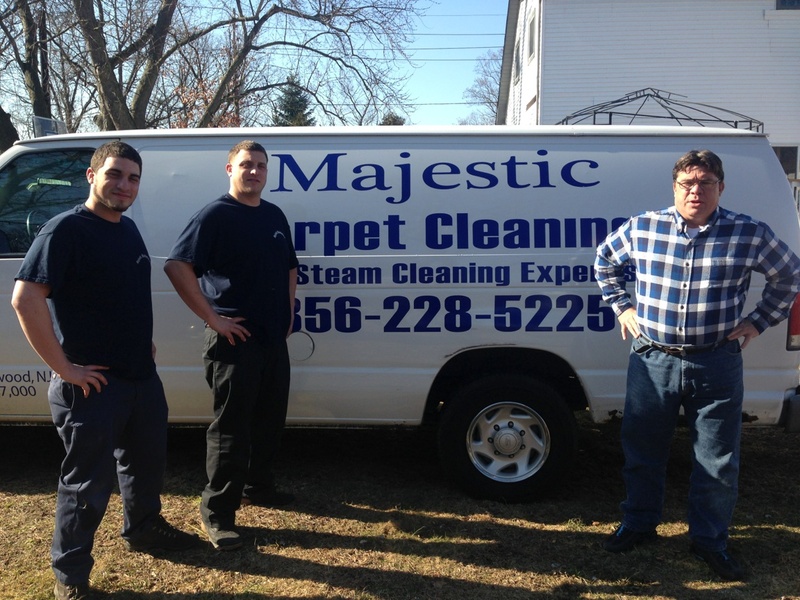 Professional Tile and Grout Cleaning in Cherry Hill will also save you money in the long run. Too much neglect over a long enough period of time will lead to a drastic situation that can only be solved with a complete tile removal and replacement. Don't let yourself end up with this costly and time consuming problem. Set up an appointment with us today for your professional tile and grout cleaning. Our top of the line service, care, technicians and tools are just what the house doctor ordered.